Defending Google or stepping up against Google? Google is under siege. At least so it might seem if you look at several blogposts and news items in the past months. The siege mainly is aimed at privacy matters concerning the Silicon Valley giant. Google has made a few mistakes and is now paying the price. Google Streetview is a nice tool Google developed (actually, they bought it and then made it into what it is now), but somehow its causing them a lot of issues, especially in Europe. People apparently love to wander through streets using Streetview and love to look at what is going on in the street across town but as soon as Streetview enters their street they feel their privacy is invaded. In some cases they respond a bit overreacted, in other cases, like when Google collected wifi data through their Streetview cars they were right. Google shouldn’t have done that. But are the reactions justified? Or are we making a lot out of nothing? I am one of the first ones who points people at possible privacy issues. For example, I feel that Facebook is sometimes crossing some lines on that matter and I also believe Google is not without blame. Still, I do think that in some cases people are overreacting. Especially if you look at what other agencies and companies know about us. What did Google do ‘wrong’? Google became too big. Google is growing every day. It’s buying companies, releasing new products and making more and more money. Whenever a company grows that big the human nature comes in. People want to somehow feel that everybody is equal. Which means that if one company or person is extremely successful people tend to begrudge those being successful. Microsoft saw this and in the ‘real life’ many rockstars or movie stars will have noticed the same. Google’s secrecy: nobody really seems to know the secrets behind the successful Google products: how does their ranking work, what is the secret of their business strategy and how do they keep those employees so very inspired? We all have ideas about that, but the actual secrets behind the succes always seem to stay behind closed doors. And people don’t like that. They want to know what’s going on. Secrecy makes curious. And when curiosity isn’t answered, people get frustrated. Google is not the best communicator. Point two easily goes in to point three. Whenever you visit a conference and there are Google people there you feel the excitement: maybe they are going to ‘reveal’ the secrets. They never do. Google employees are always really nice people who you can have a beer with and enjoy the conversation, but when it comes to talking about what is going on at Google, they seem to be brainwashed: they reveal nothing. You could say that is a very good way to go. Let those who’s job it is to communicate, communicate and let those who have other jobs keep their mouths shut. But in that case, those responsible for the communication should be careful about what they are saying. The above video of Google’s CEO Eric Schmidt is a direct result of a couple of, to say the least, strange remarks Schmidt made. Saying that if you have something to hide you shouldn’t have been doing it in the first place and suggesting people might be changing their names is provocative and even though in core he might have a point, as CEO of a company already under fire because of privacy issues, its not smart. Google collected data. The wifi data which Google collected while taking Streetview pictures is probably one of the most stupid things Google could have done. With Streetview already being controversial in Europe, collecting data in those countries and not telling anybody is just waiting for a disaster to happen. Is Google the only one? How much do you think Facebook, Linkedin, Your E-mail provider, Microsoft, Apple and all those other companies involved in the online business know of you? And I could go on and on. 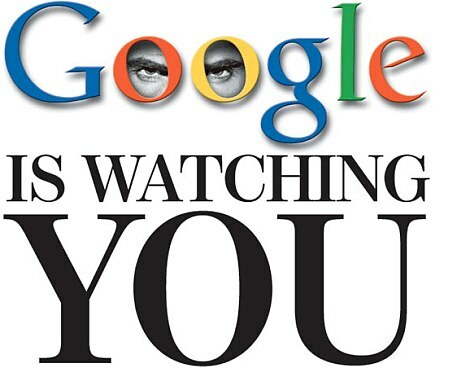 My point is: Google is collecting data and we know it. But sometimes it feels like people think Google is the only one. And they’re not. There are millions of sites, organizations and agencies out there collecting data about you. In that sense Schmidt is right: if you have something to hide, you’re in for some trouble, because somewhere someone has registered it. So are we overreacting when it comes to Google or should we be stepping up against Google and dive on every privacy issue out there? My answer would be that we are overreacting but that we should be aware of what is happening to our data, whether it being Google, Facebook, Apple or what other agency out there collecting it. And I do think Google could be the one finding a way in which we all can easily be made aware, without us having to say “ok” to every privacy statement on every website we visit.